For Mom. Who reminded me I come from a people who know how to shove. The Northern Alberta fires are still raging. If you want to help—CASH IS KING. It gets people all the other stuff they need (and evacuees don’t have a place to put stuff anyway). If you have friends and family who are directly affected—or know that family or friends of friends are directly affected—put cash or gift cards directly into their hands. Now. Otherwise—give to the Red Cross. If you’re in Calgary, please consider visiting the Pop-Up Bake Sale Fundraiser for Fort McMurray organized by Sunnyside and Hillhurst kids on SATURDAY, MAY 7, 11 a.m. to 4 p.m. at Kensington Road and 11th Street N.W. (between Pages Book Store and Peacock Boutique). 100% of the proceeds will be donated to the Red Cross Alberta Fires emergency fund. 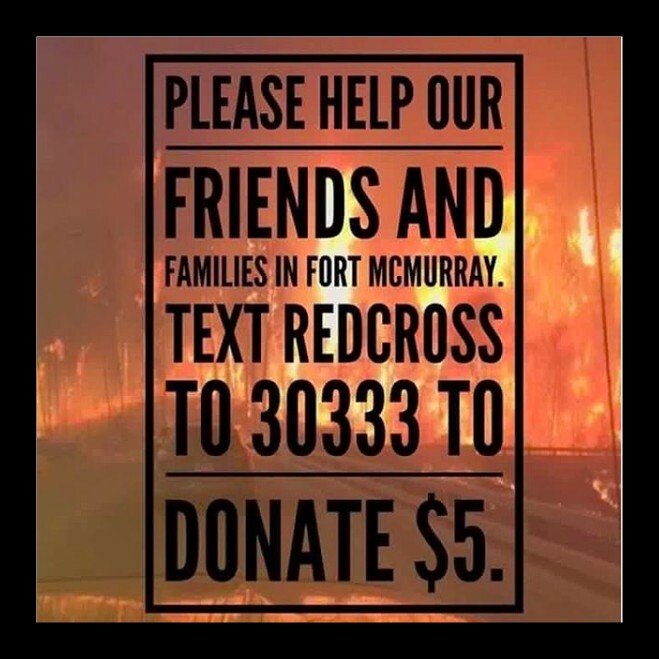 For other ways to help from Calgary specifically, here is a list of “How To Help Fort McMurray” resources curated by the CBC. It includes Facebook groups that will connect you directly with evacuees looking for housing, clothing etc. Our government is matching all donated funds. Text “REDCROSS” to 30333 to automatically donate $5; “REDCROSS” to 45678 to donate $10. Visit MobileGiving or the Red Cross Alberta Fires Emergency Appeal for more information. 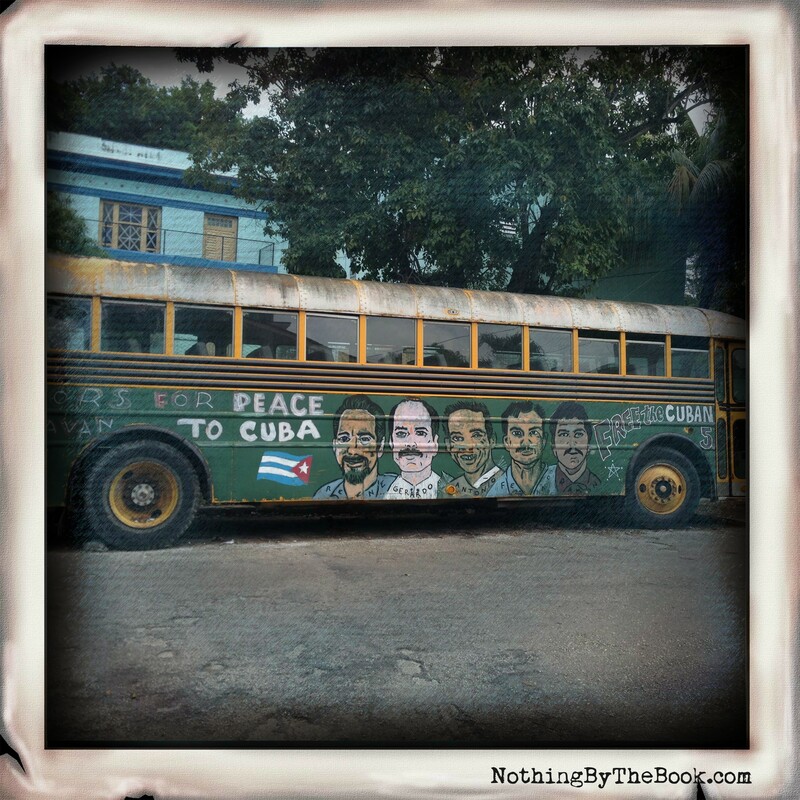 On the weekends, half the Cuban men who have a car are flat on their backs under it or bent in a J over its engine, finding ways of making it go. Half of the men who don’t have cars are doing the same thing, at the side of their brothers, uncles, or friends. 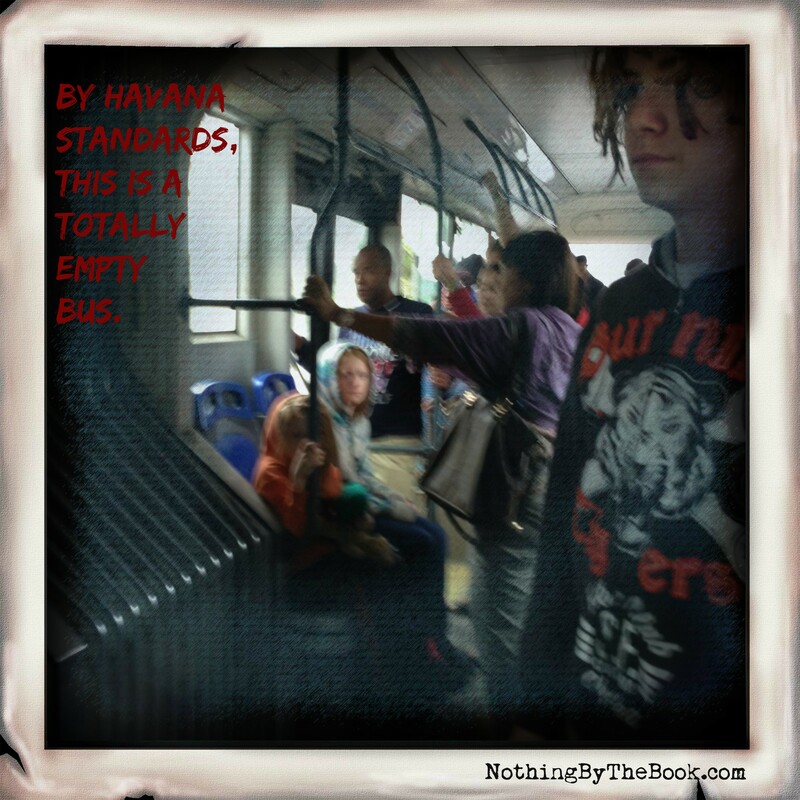 All the other men—and women and children—are crammed onto the bus. This bus I am trying to get onto myself, with three children who don’t know how to shove. Every time we get on—and we do get on every time—it feels like a major miracle. They don’t believe me. Do you? 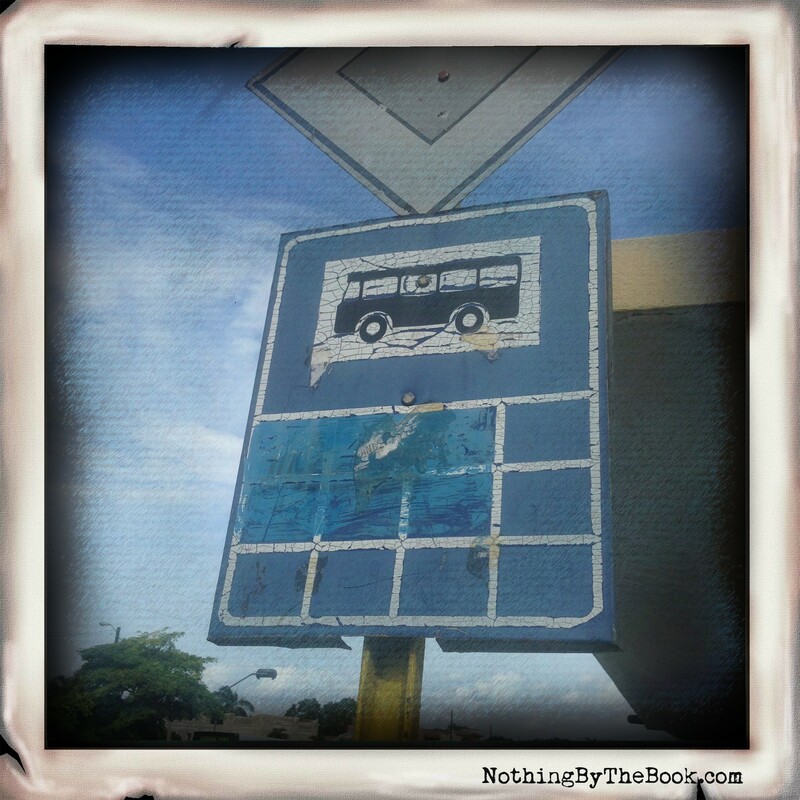 –how else will he get home? Permiso, and bodies surge, squish, make room. and he is going to get them home, he is. we’re going to get squished and die—Nino! yes thank you, can I hold your bag, gracias. –could they have just been strangers? 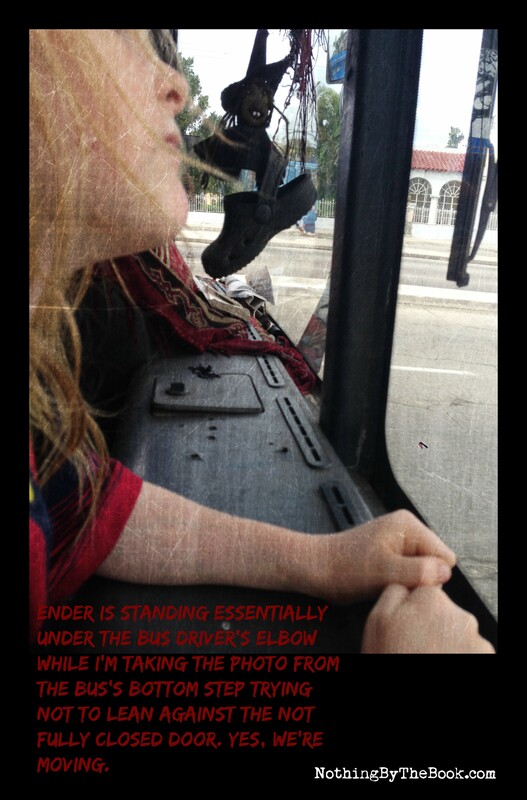 Ender, bored, exhausted, sinking onto the floor of a filthy Havana bus… and poking his fingers into the holes of Flora and Cinder’s crocs. This is the part where I usually beg for money. This week, instead of asking you to donate to the Postcards from Cuba project, I’m asking you to make a small donation to the Red Cross to support the people affected by the on-going wildfires in Northern Alberta. Our government is matching all donated funds. Text “REDCROSS” to 30333 to automatically donate $5; “REDCROSS” to 45678 to donate $10. Visit MobileGiving or the Red Cross Alberta Fires Emergency Appeal for more information. If you’re in Calgary, please consider visiting the Pop-Up Bake Sale Fundraiser for Fort McMurray organized by Sunnyside and Hillhurst kids on SATURDAY, MAY 7, 11 a.m. to 4 p.m. at Kensington Road and 11th Street N.W. (between Pages Book Store and Peacock Boutique). 100% of the proceeds will be donated to the Red Cross Alberta Fires emergency fund.